DigitalLearning World Education Summit, organized annually since 2011, is the world’s premier platform for education and learning. Over the years, the summit has become the largest networking hub witnessing the biggest gathering of education leaders from all over the world. World Education Summit 2014 aims to build a strong community and provide various business and networking opportunities for clients, partners and education leaders. The dynamics of education sector is evolving and changing rapidly world over and WES provides an opportunity to all the stakeholders to come together and deliberate, discuss and explore the horizon. The 4th Edition of World Education Summit held in Delhi provided a great opportunity for education thought leadership. It was jointly organized by All India Council for Technical Education (AICTE) & Centre for Science, Development & Media Studies and Co –organised by National Commission for Minority Educational Institutions, Government of India, All India Confederation For Women's Empowerment Through Education, United nations Educational, Scientific & Cultural Organisation.The event witnessed a large gathering of education leaders from all across the globe. The objectives of the Summit were to assess learning in the 21st century and debate trends in school, higher education and skills education to highlight innovations and to award global innovations and excellence in education. 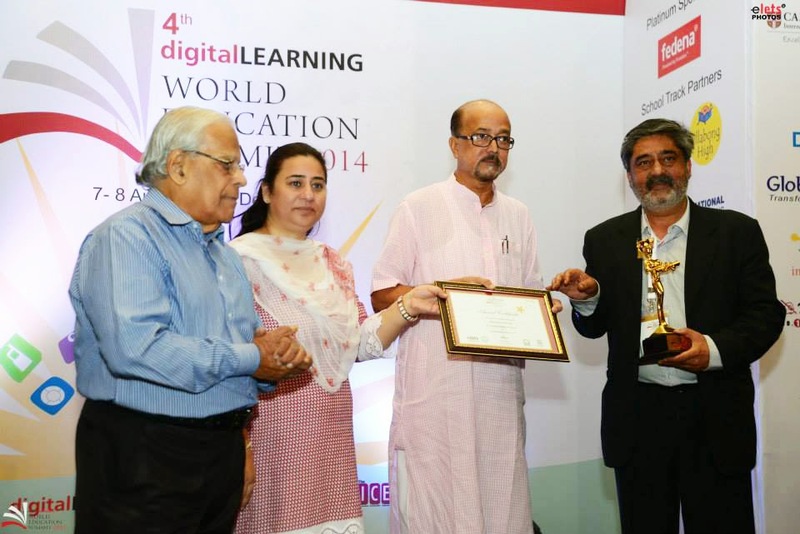 Shanti Business School Wins National Honour at Global Educational Excellence Awards 2014. No comments on "Moment of Glory for SBS- World Education Summit 2014"